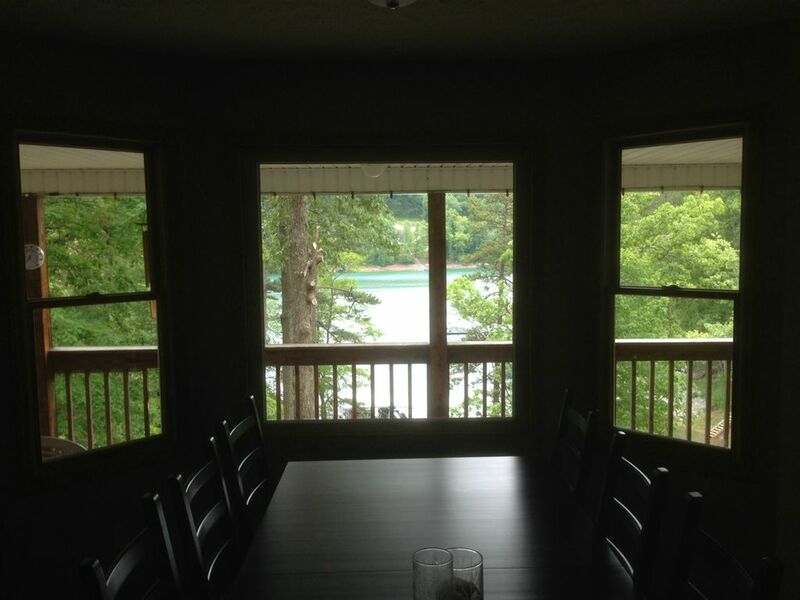 We still have great weeks available for the 2018 season! 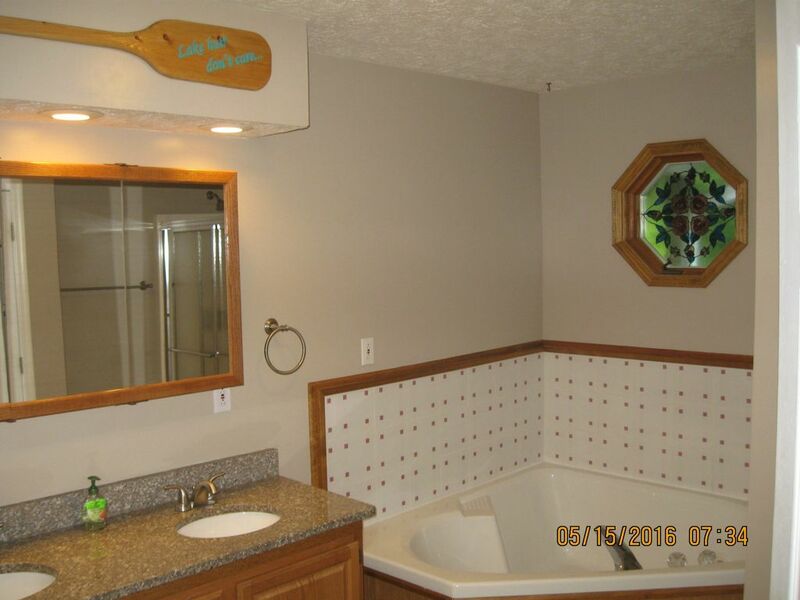 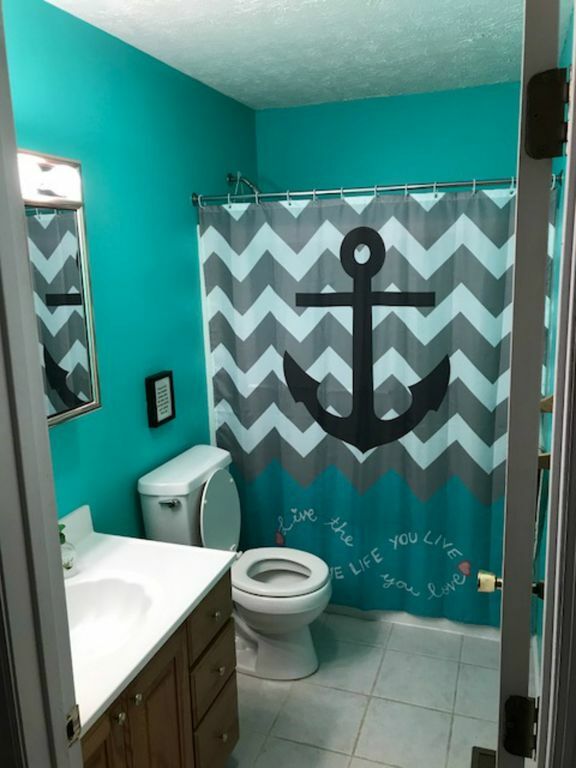 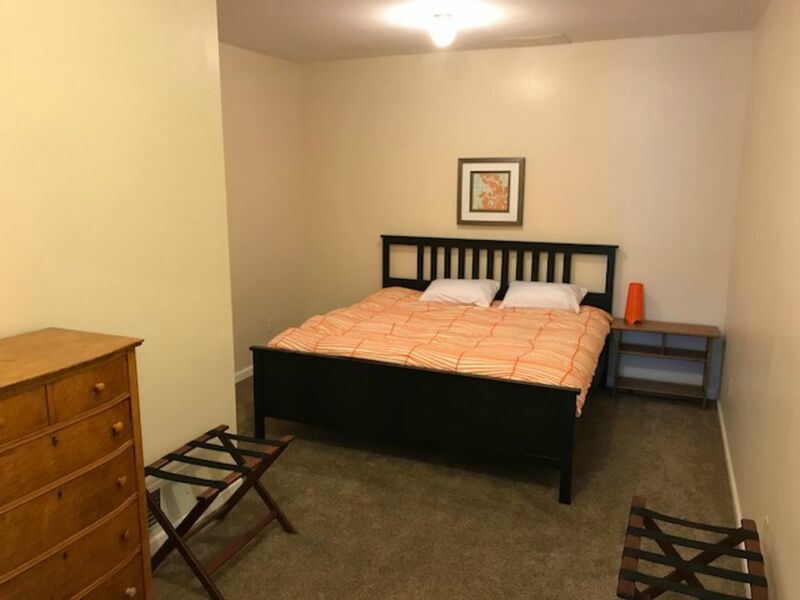 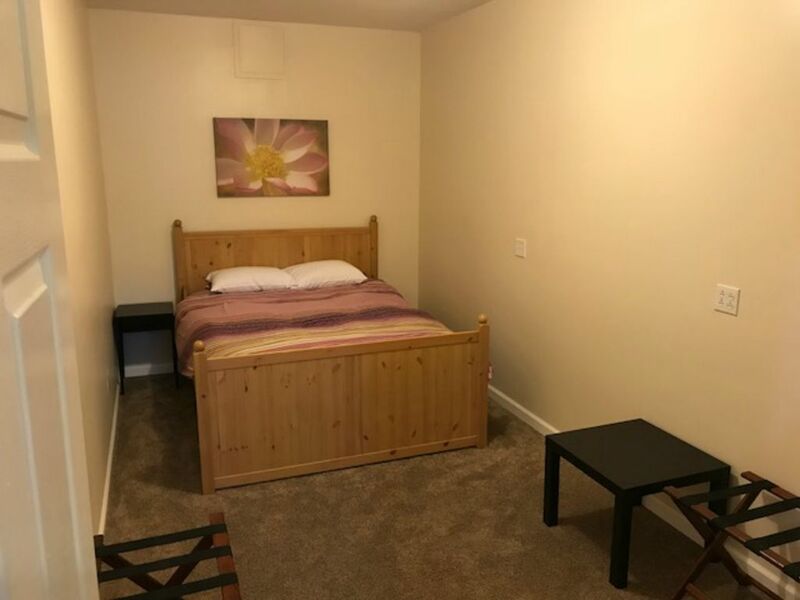 Contact us: (513) 836-0040 tompkinshomes @ yahoo com Perfect Daze is located in Big Creek, just minutes by boat north of Sequoyah Marina and 30 minutes from I-75. 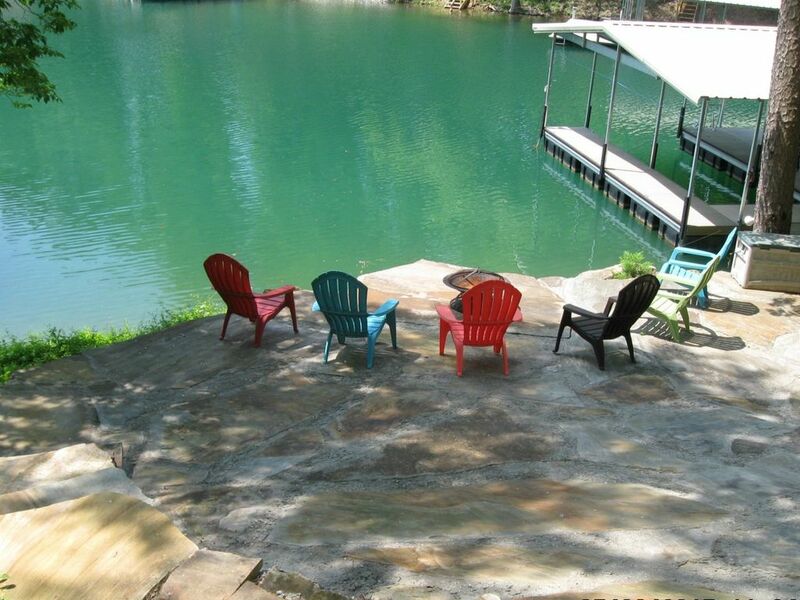 Perfect Daze is a 5 bedroom, 3.5 bath, 3,282 sq ft lakefront home that will sleep 18 comfortably. 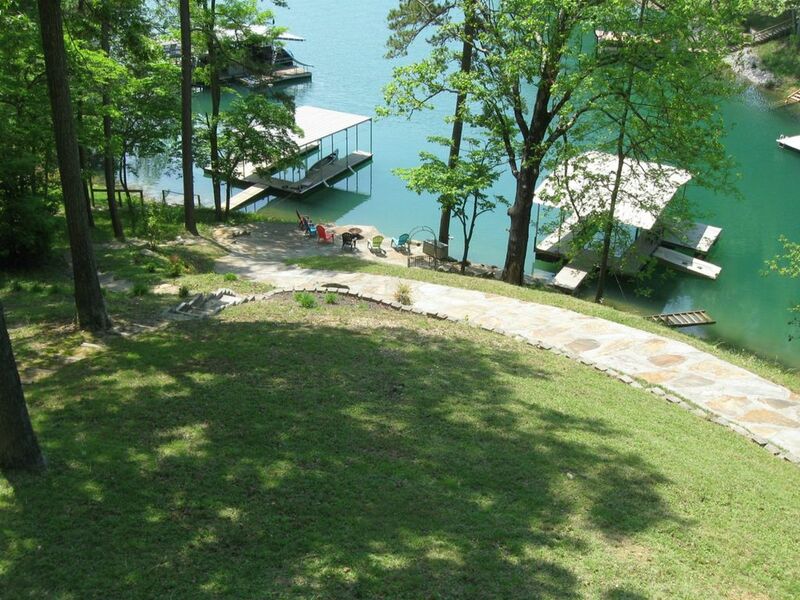 Incredible lake views, close to the water, with 115ft of lake frontage, and a great dock. 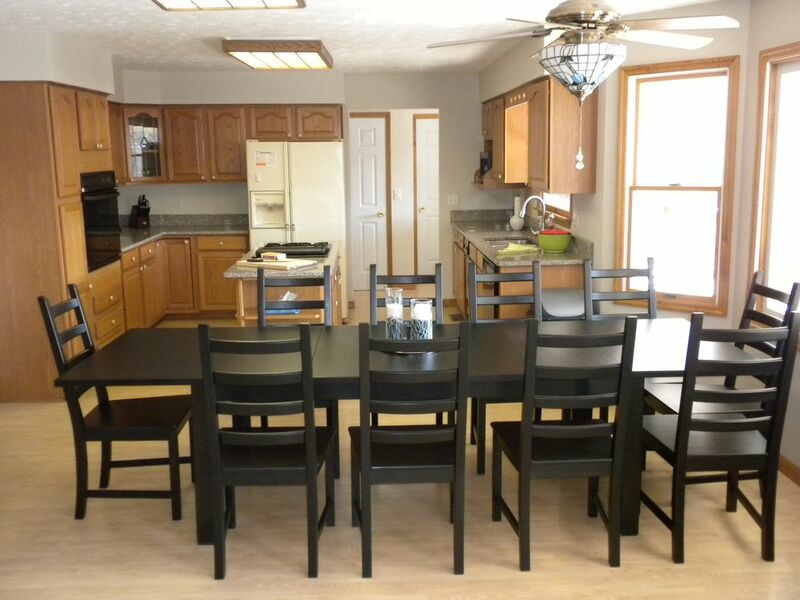 With it's spacious kitchen, family room, rec room, and bar area, it is an ideal house for family and friends gatherings. 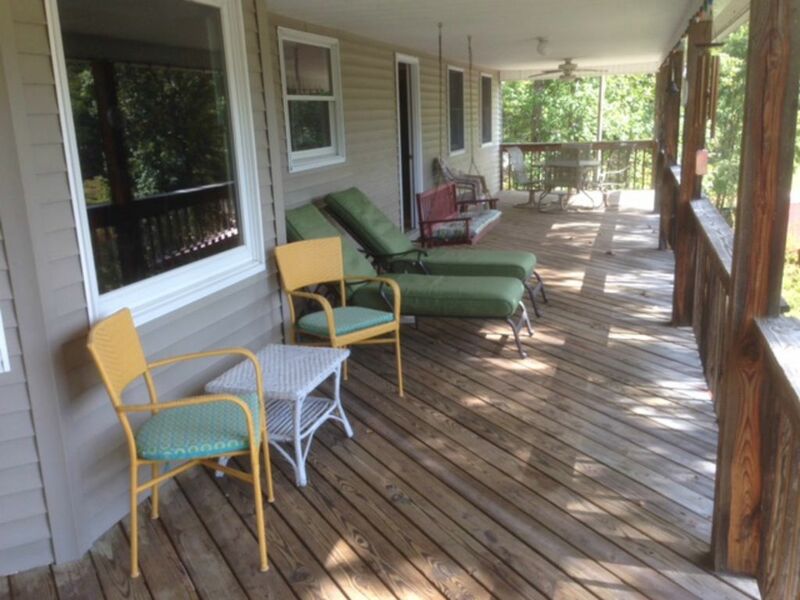 It features 2 large covered decks facing prime lakefront views, pool table, flat screen HDTV's, video game system and a kitchenette/bar area great for entertaining. 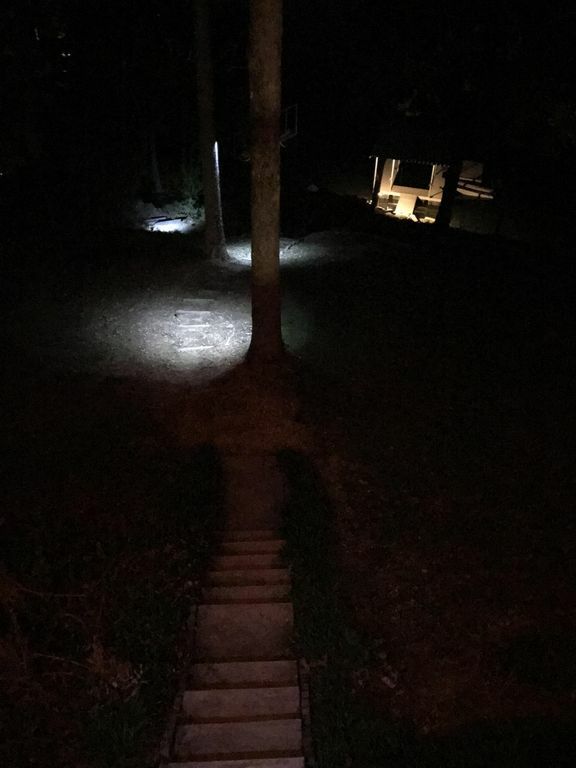 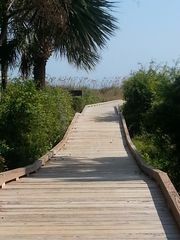 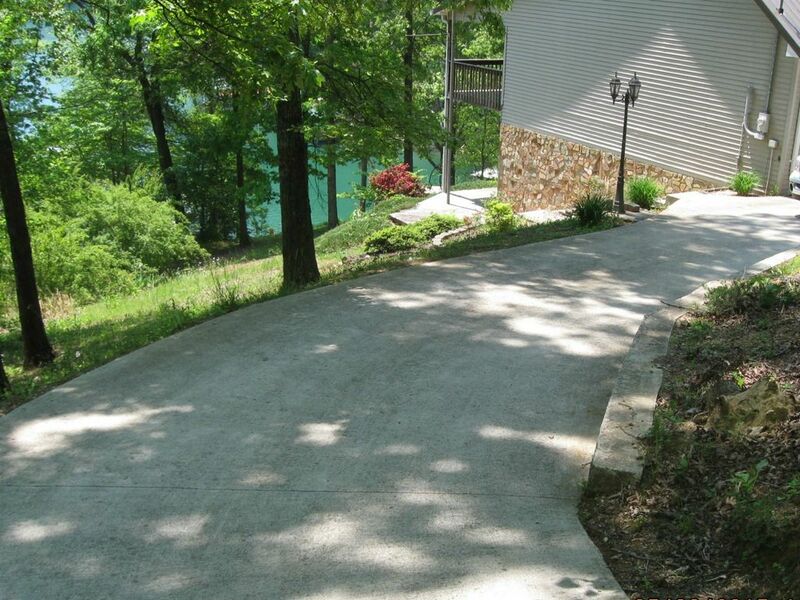 Stone paved path and steps give easy access to the new composite dock (no splinters!) 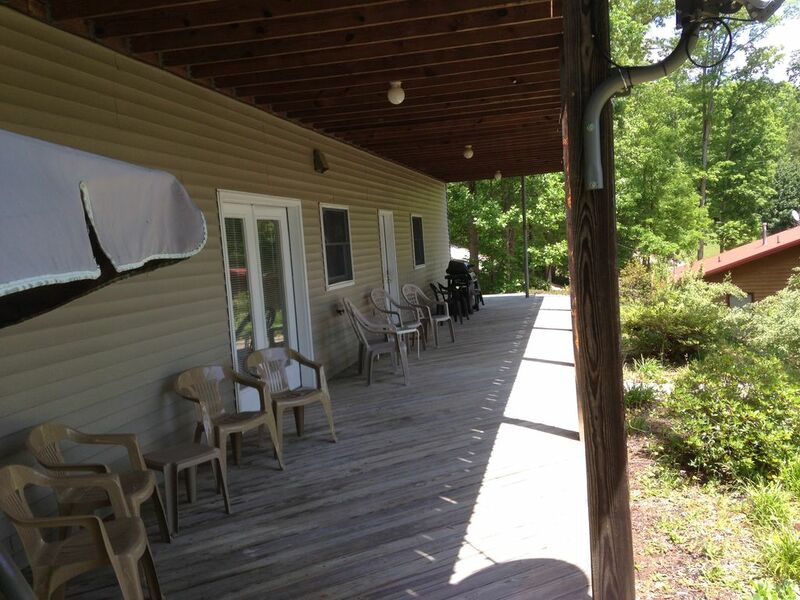 with covered slip, wave runner dock, sun deck, dock furniture and a fire pit area. 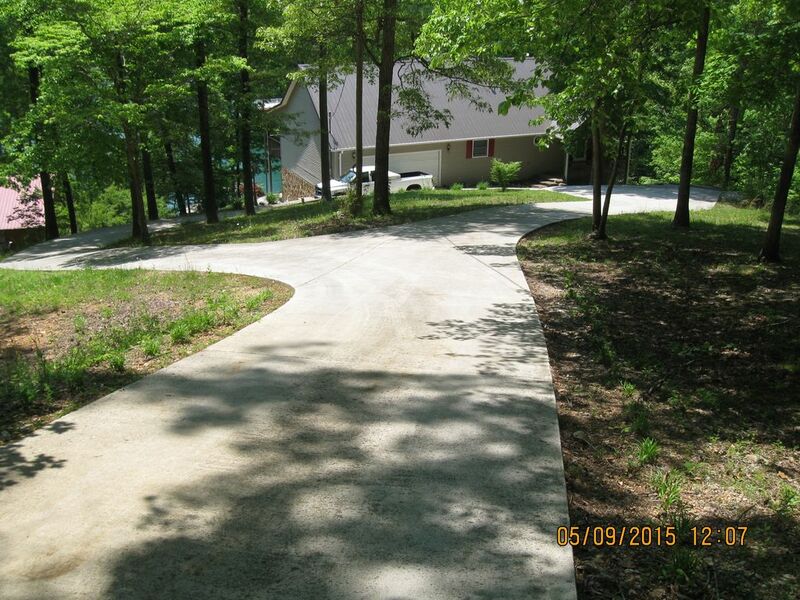 The concrete driveway has a circle turn around & plenty of room for parking vehicles & boat trailers. 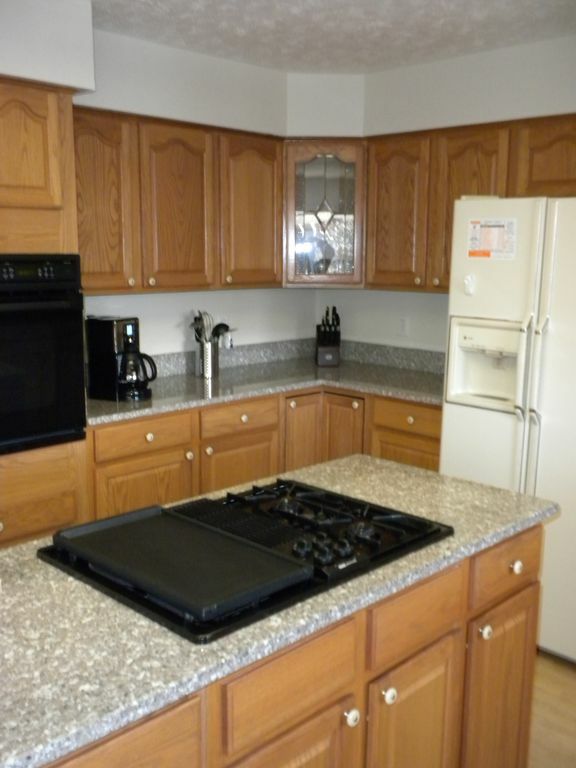 The first floor features hardwood/carpet flooring, large kitchen, cabinets with granite countertops, dishwasher, oven/stovetop, microwave and a refrigerator. 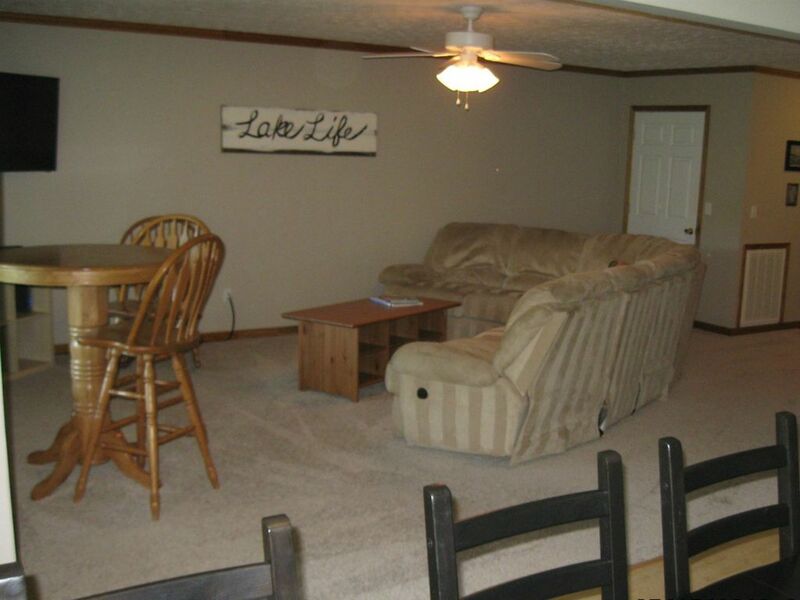 The family room has a flat screen HDTV, dvd player and access out to the covered deck over looking the lake. 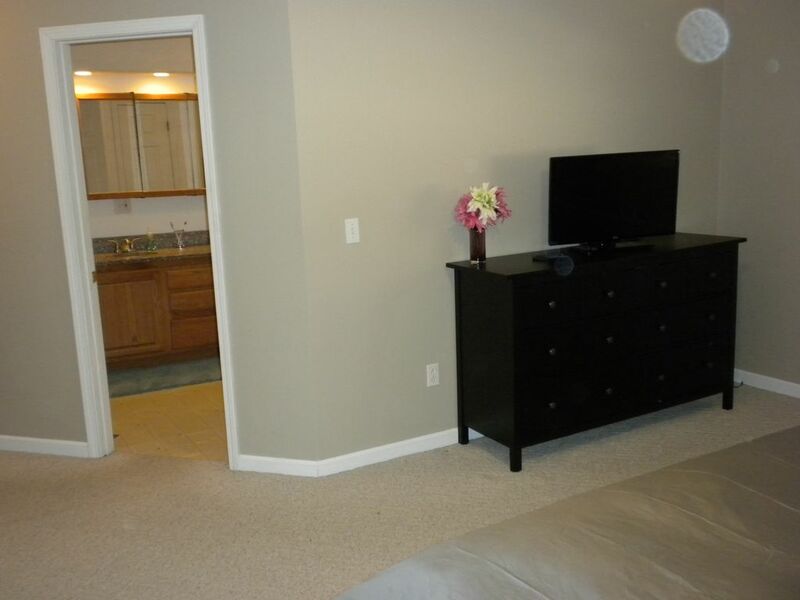 The master has a king bed with flat screen HDTV, a full bath with 2 sink granite counter top, a walk in shower and jacuzzi tub. 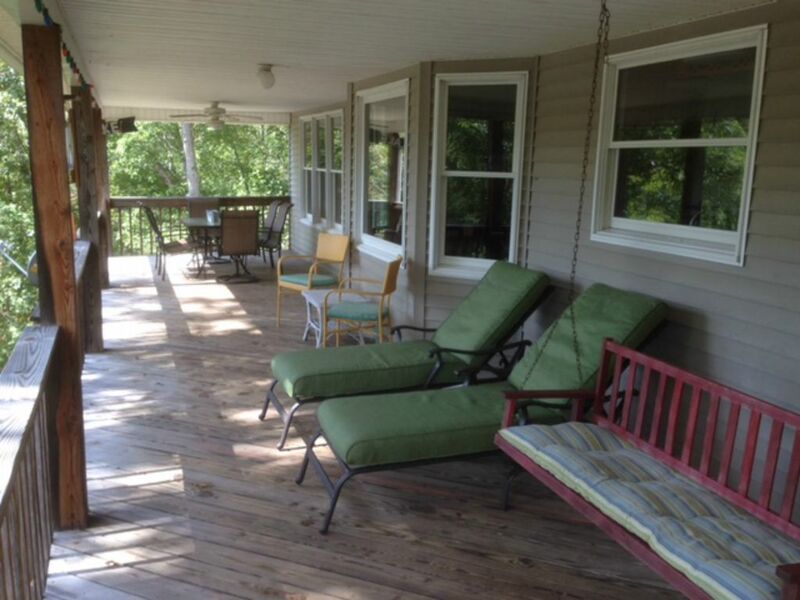 The covered decks have a dining tables, chairs, porch swing and gas grill. 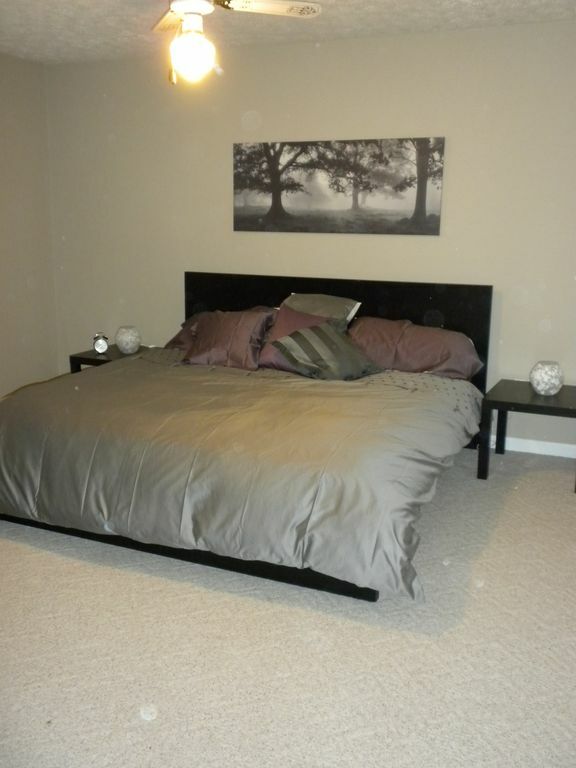 The second floor features 2 more bedrooms and a full bath. 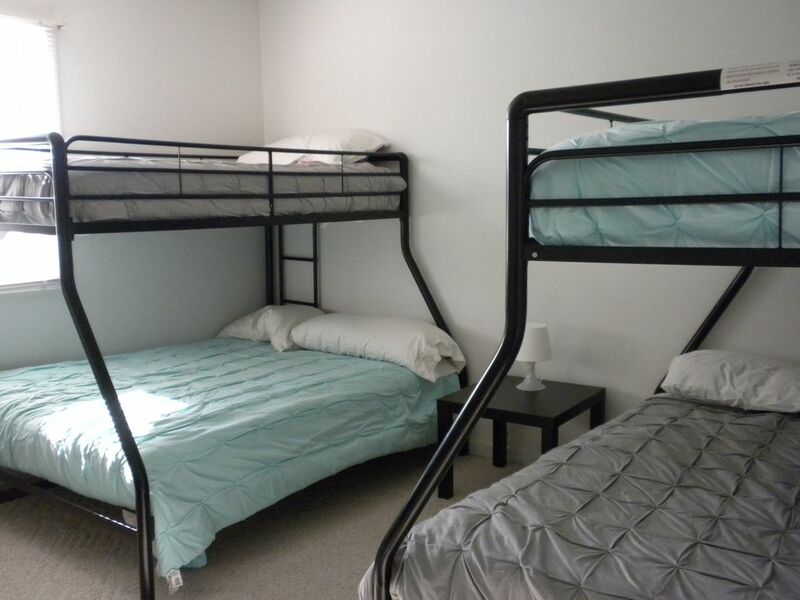 Both bedrooms have 2 bunk beds each, twin over full. 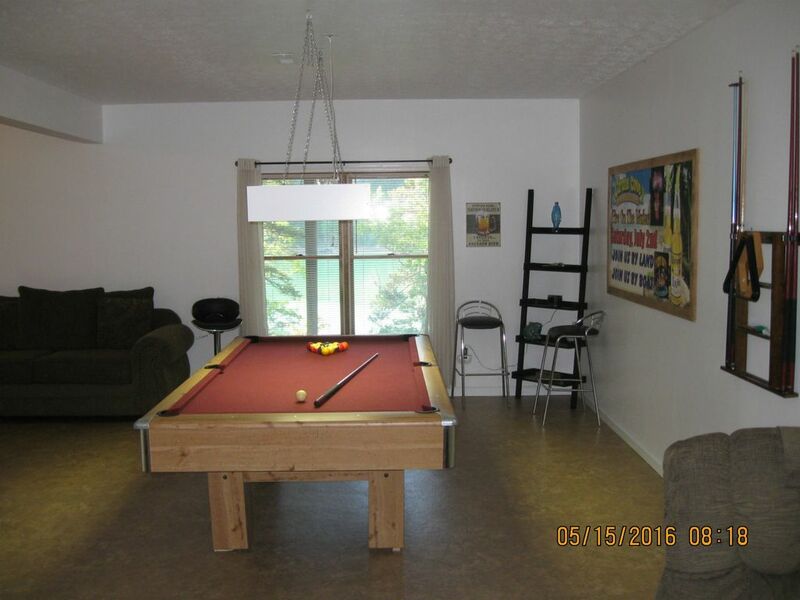 The lower level features a rec room with pool table, flat screen HDTV with dvd & game system, a kitchenette/bar area with sitting room and access to the lower covered deck. 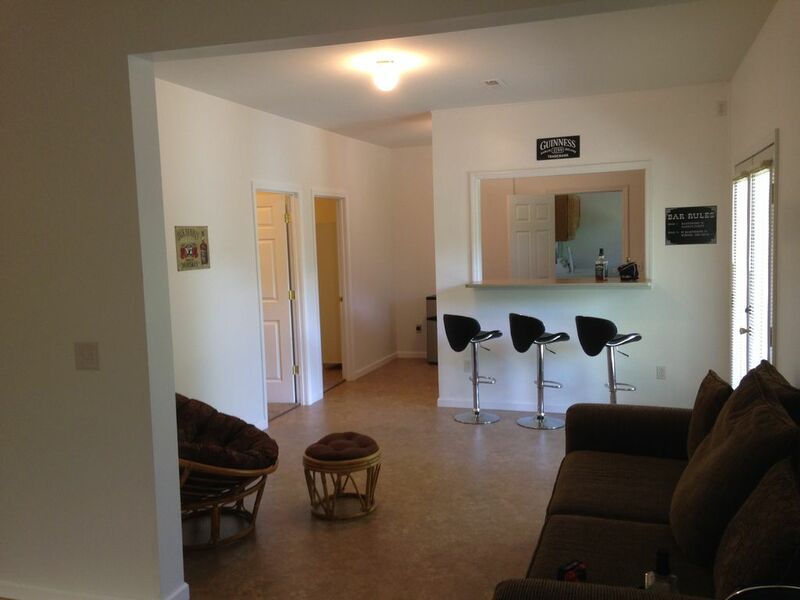 There is also 2 more bedrooms & a full bath. 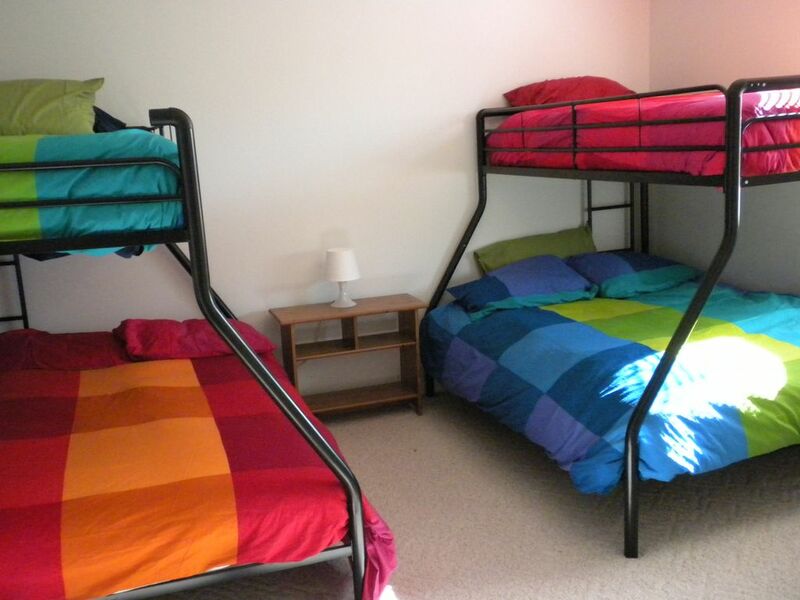 One of the bedrooms has a king size bed the other with a queen size bed. 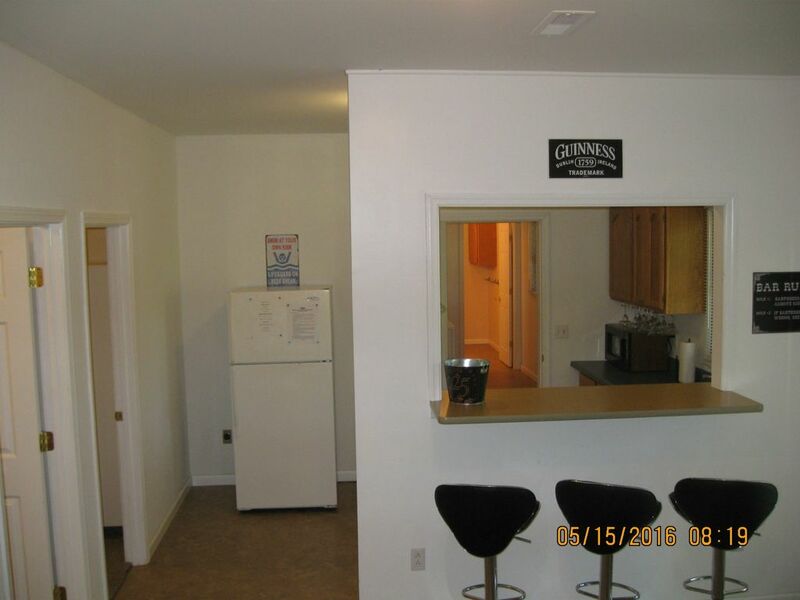 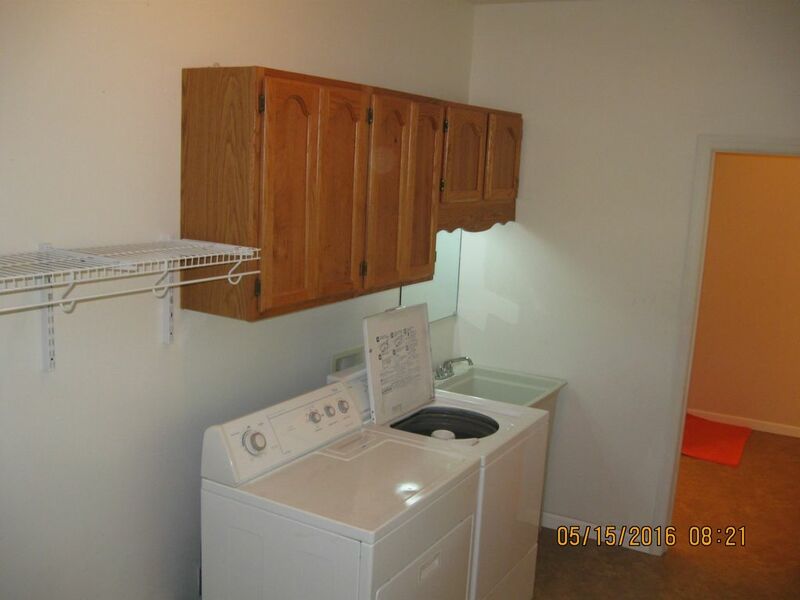 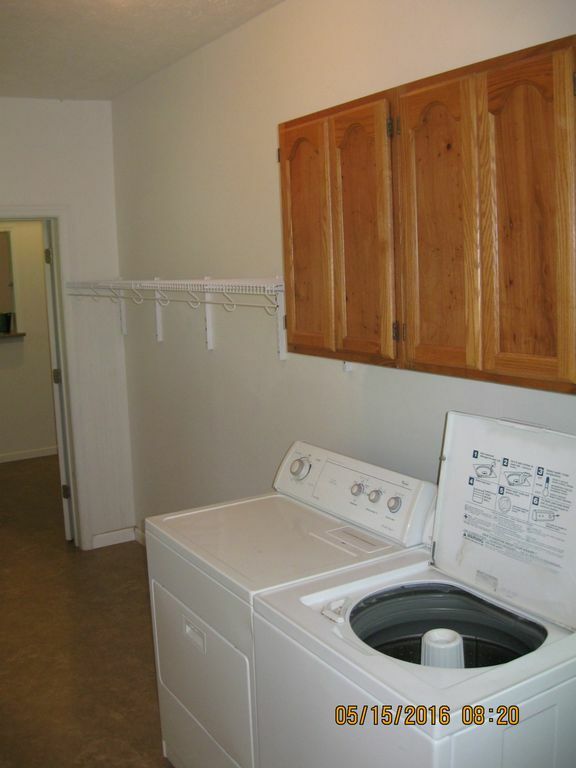 There is also a full laundry room on this level. 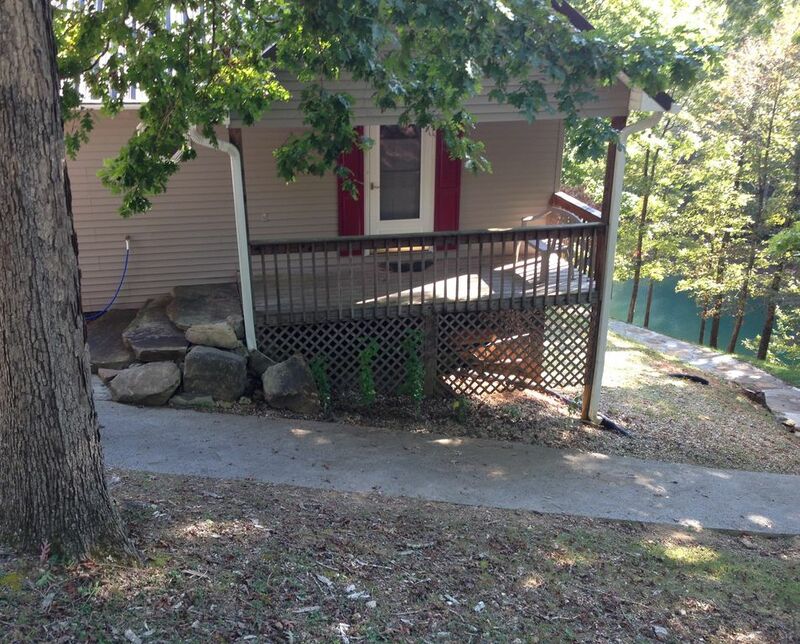 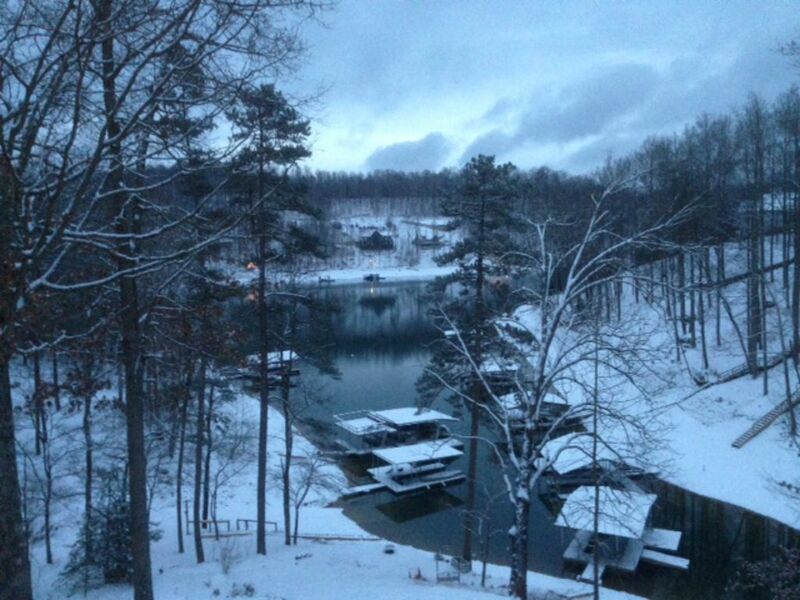 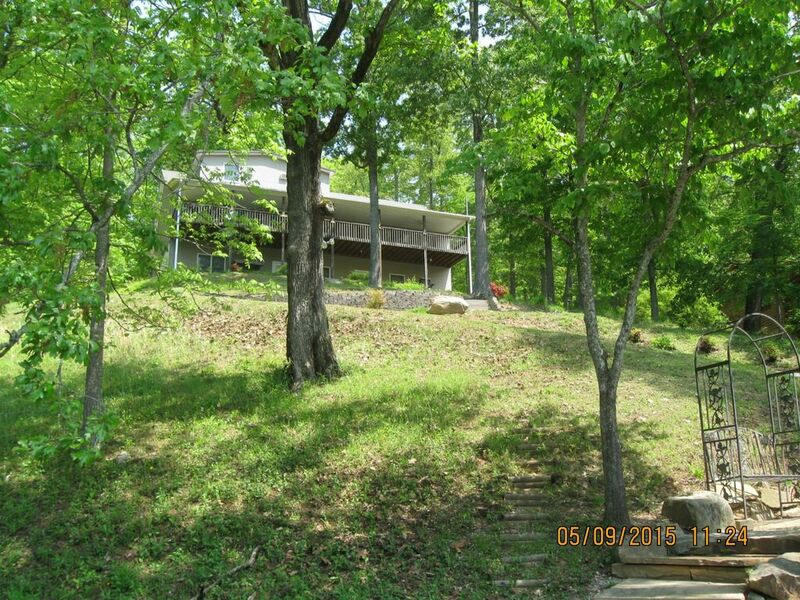 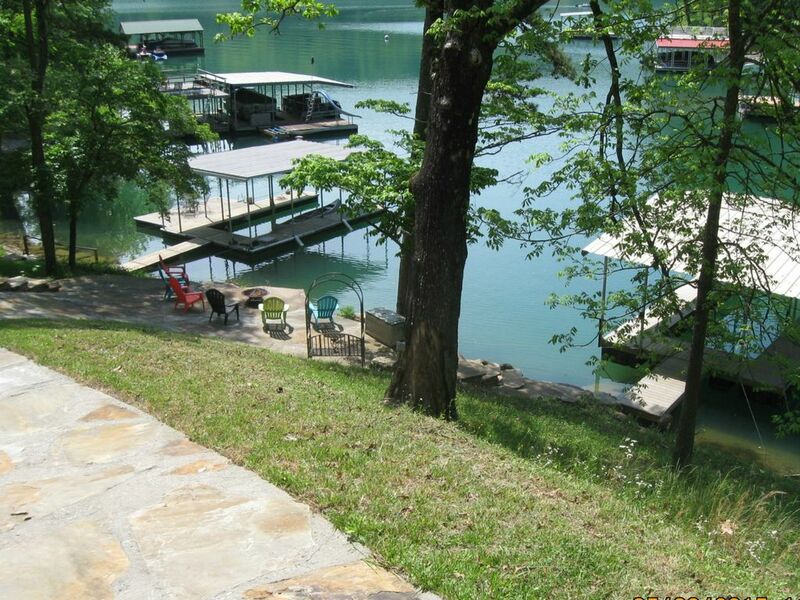 The house is located in Big Creek just minutes by boat to Sequoyah, Whitman Hollow and Norris Dam Marinas. 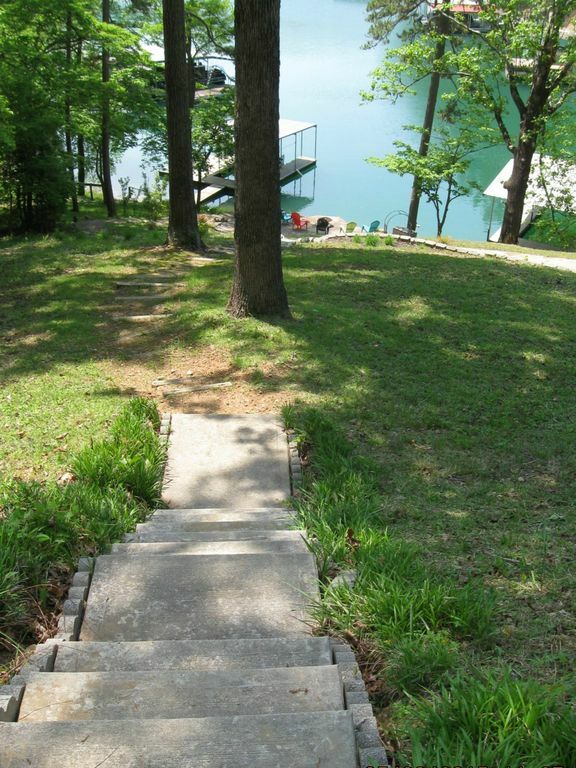 Peak season there is deep water off the dock, 28 feet +/-. 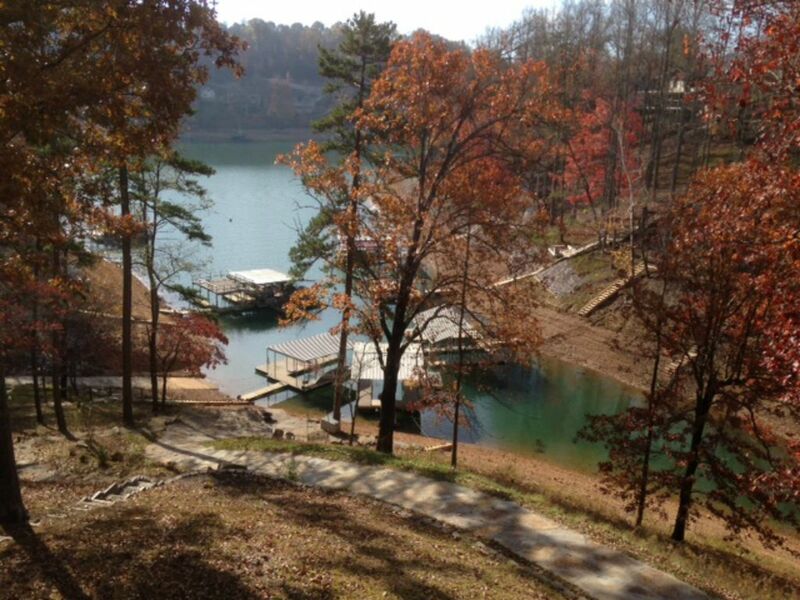 The water levels vary year to year even during peak season. 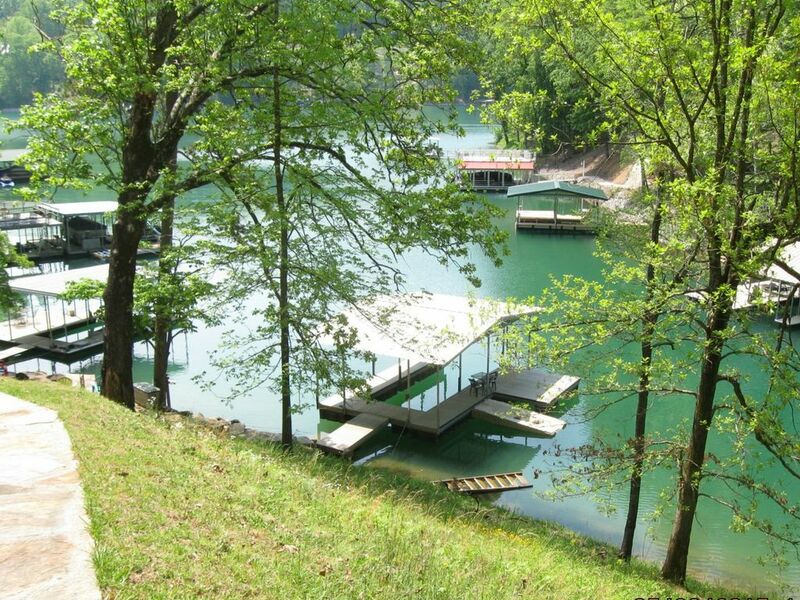 There is a boat ramp located at Whitman Hollow which is on the way to the property coming from I-75. 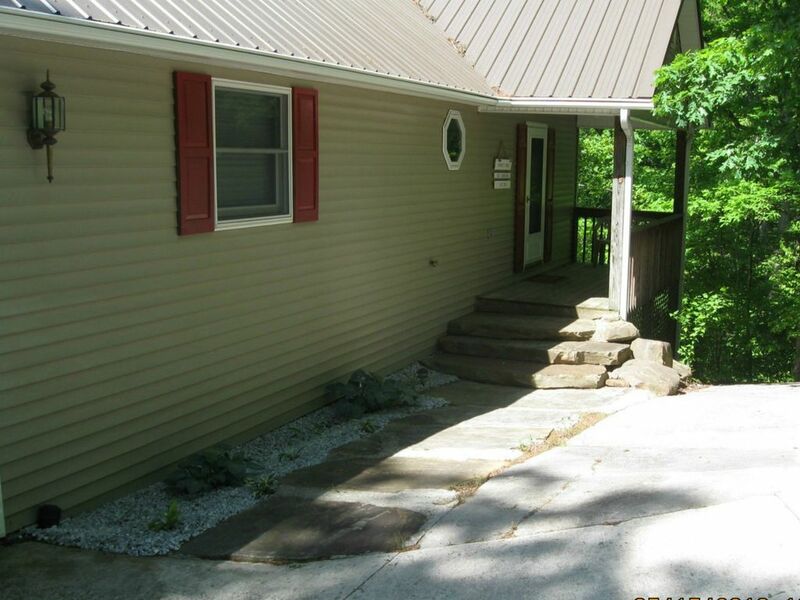 We have plenty of parking outside of the home in and off of the circle driveway and more at the top of the driveway. 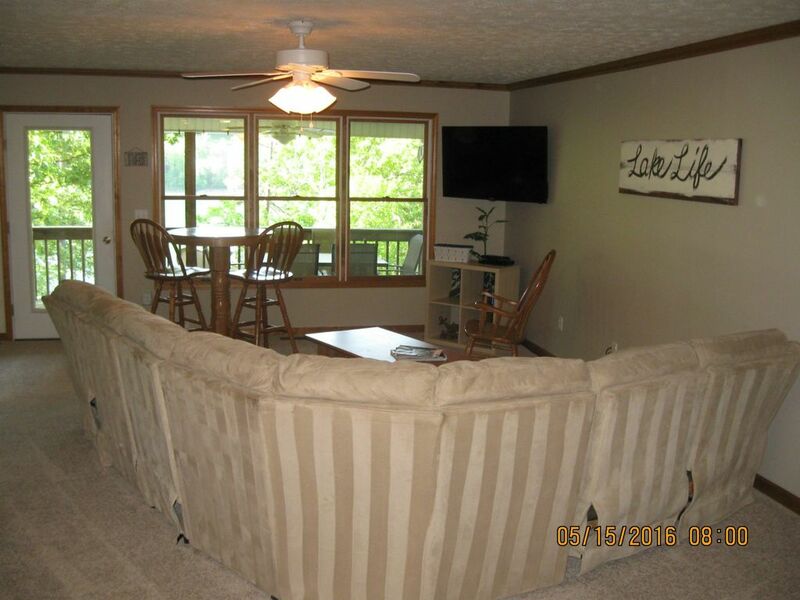 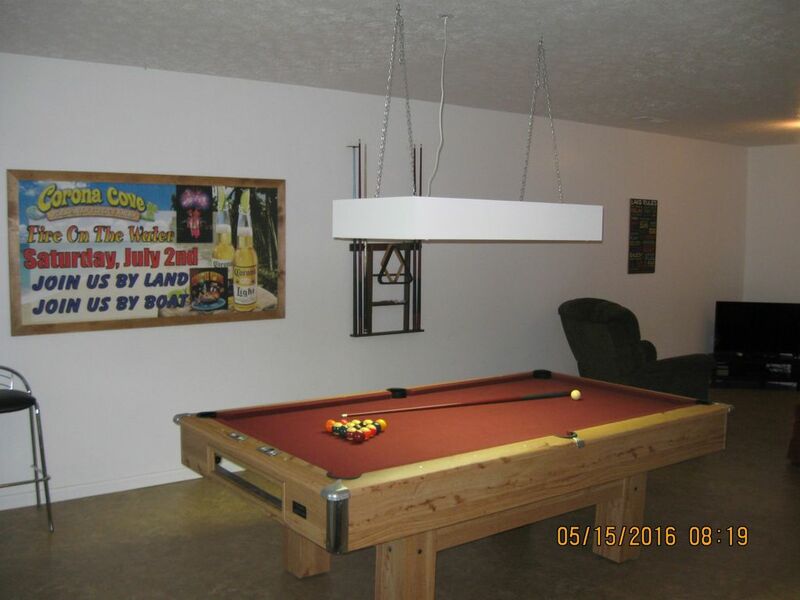 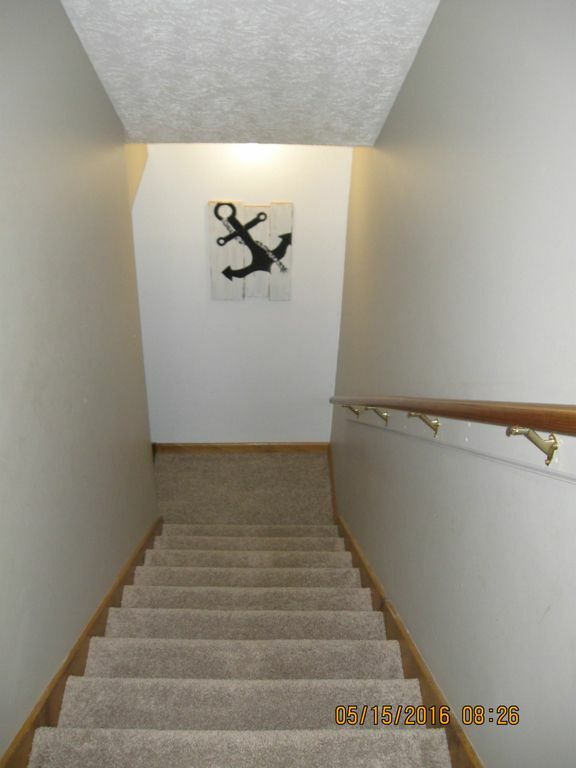 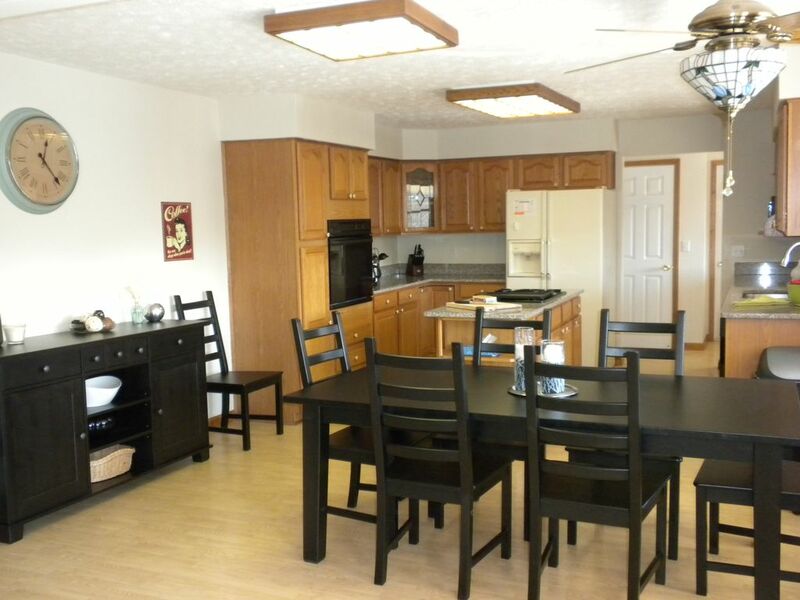 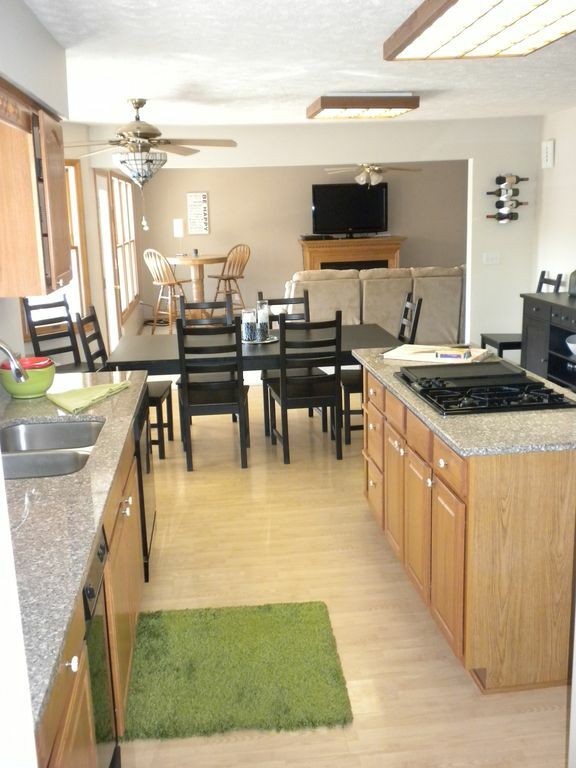 It is conveniently located just miles from I-75 and 25 minutes from the city of La Follette. 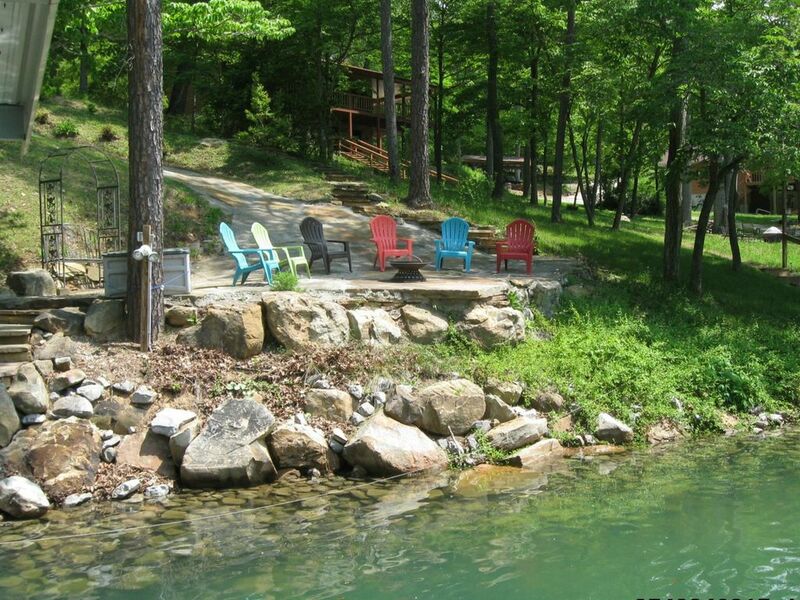 From the lake, you couldn't ask for a better location! 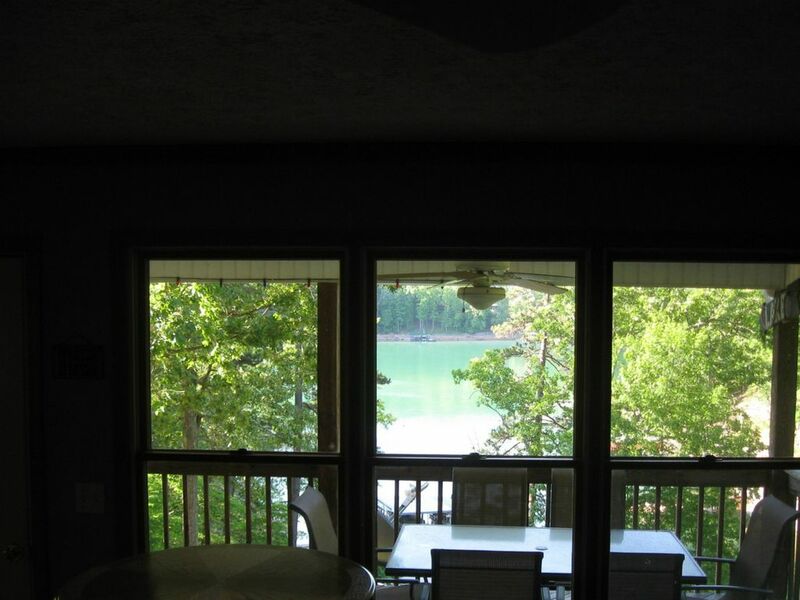 It is in Big Creek (the best finger of Norris Lake), minutes away from local hot spots such as Sequoyah Marina, Shanghai Marina, & not too much further from Deerfield’s Tiki Hut, Sugar Hollow and Springs Resort. 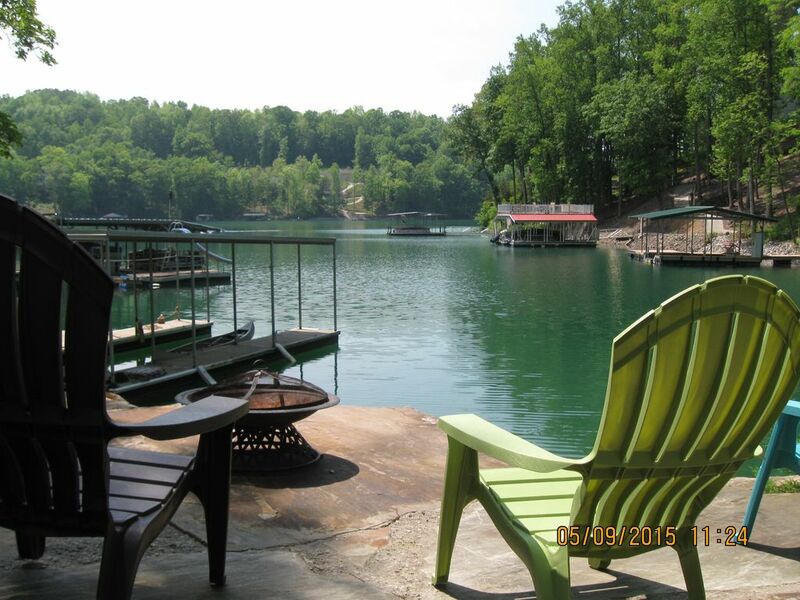 You can enjoy these full service marinas and restaurants/bars within a few minutes boat ride. 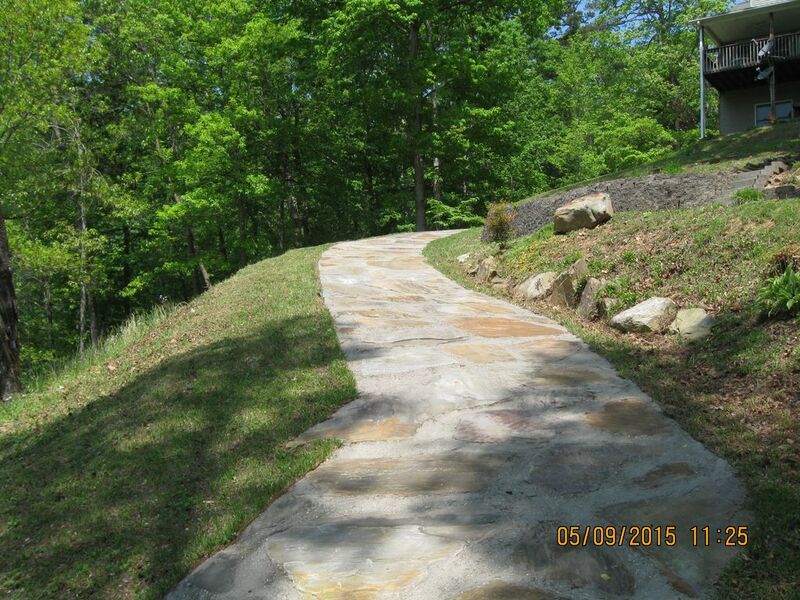 Deerfield offers Bobby Clampett’s 6800-yard golf course just right around the corner.